Myrna V. Clark, age 88, of Millersburg, Ohio passed away Tuesday, February 5, 2019 at Sycamore Run Nursing Home, Millersburg, Ohio following a brief illness. Family viewing will be from 1 to 3 p.m. Monday at the Alexander Funeral Home, Millersburg, Ohio with graveside services to follow at Oak Hill Cemetery in Millersburg, with Chaplain Virginia Pflueger officiating. Those wishing to share a memory or make online condolences may do so by www.alexanderfhinc.com. Family suggests that memorial contributions be made to LifeCare Hospice, the American Heart Association or to the American Cancer Society. Myrna was born December 3, 1930 in Rittman, Ohio and was the daughter of Merrill and Lucy (Cross) Neitzelt. On October 30, 1947 she married Herbert V. Clark, Sr. and he preceded her in death on May 11, 2009. 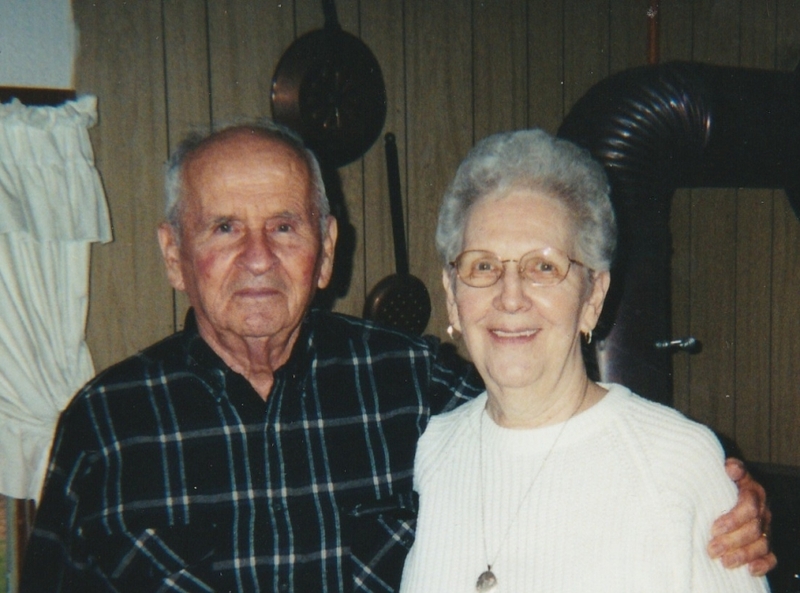 Myrna was a homemaker and enjoyed spending time with her husband. She was a Methodist by faith. Myrna enjoyed writing letters, working crossword puzzles, she liked nature and loved watching birds. She is survived by two sons, Herbert V. Clark, Jr. of Millersburg and Mark S. (Debra) Clark of Welcome; daughter-in-law, Janie Clark of Wooster; son-in-law, Robert D. Longfellow of Wapakoneta; grandchildren, Craig V. (Christina) Clark, Jeremy Clark, Seth (Trisha) Clark, Troy S. (Michal) Clark, Quentin (Kay Beth) Clark, Franklin (Mary) Clark, Lucricia L. (Dwayne) Anderson, Lacey J. (Roosevelt) Workman and Hailey M. (Juan) Diaz; step-grandchildren, Tonya L. Carr (Jason) and Jessica N. Van Dalen (Dustin); 20 great-grandchildren, Kenneth V. Clark, Erin R. Clark, Mason R. Clark, Peyton M. Clark, Melina D. Clark, Pierce Q. Clark, Corin T. Clark, Evan E. Diaz, Javiera A. Diaz, Shane M. Anderson, Geneva F. L. Anderson, Ashleigh M. Workman, Kaci R. Workman, Denaya L. Clark Hood, Alexandra M. Clark Hood, Cadence L. Clark, Amelia K. Clark, Aubry M. Clark, Franklin M. Clark, Jr., and Gabriella Clark; 5 step great-grandchildren, James L. Rowe III, Kaitlyn N. Bretz, Destiny R. Hill, Logan D. Van Dalen and Allison N. Workman; and two sisters, Wanda (Robert) Lengacher of Rittman and Marylyn Sue Ernst of Arizona. She was preceded in death by her parents; husband, Herbert; three brothers, Merrill, Hubert and David Neitzelt; a son, Thomas Clark; her daughter, Veronica Longfellow; a great-grandson, Grady W. Clark; and a step great-grandson, Devin M. Rowe.